Today is a pretty big day for this blog/channel. I managed to get my first video up on YouTube. I picked up a GoPro so you can look forward to a lot more videos now that I have the confidence in myself as I get leaner. The video can be found here: https://www.youtube.com/watch?v=n5RwYC-QJTQ. Keep in mind it is my first post and is a bit raw. It is a recipe for the cake that I had for dinner today. Whisk everything together and cook over medium high heat about 2-3 minutes each side.. 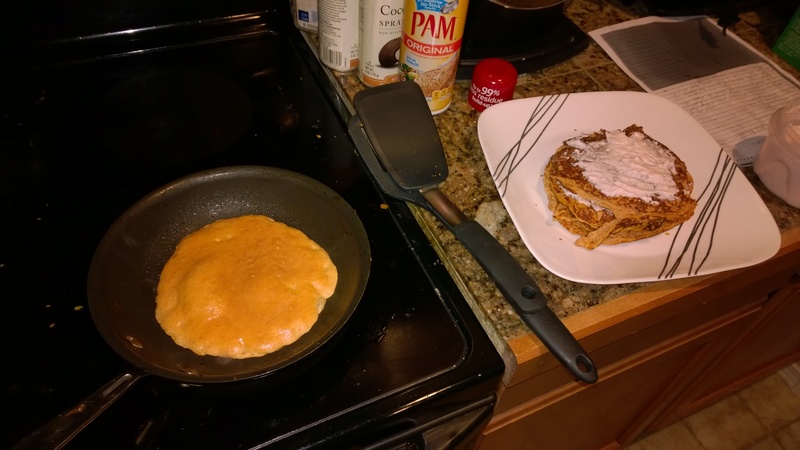 Here are the completed pancakes. 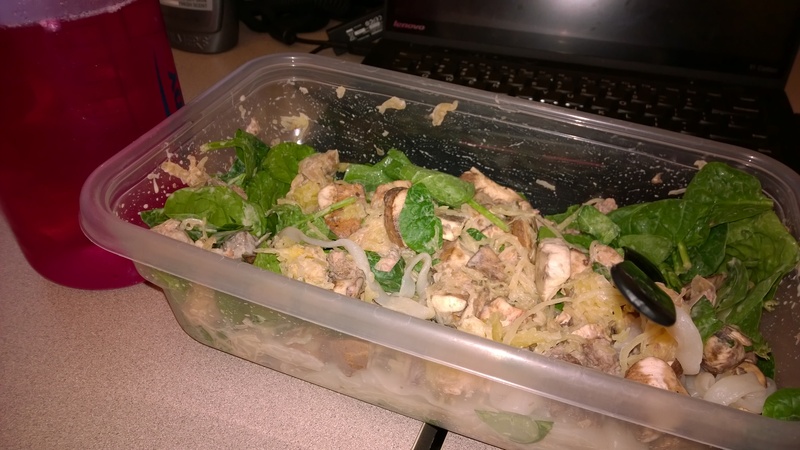 Lunch was another salad with baby spinach, mushrooms, Nasoya shirataki noodles, spaghetti squash, ground elk, sauerkraut, and some Waldens Farms 1000 Island. 18C/10F/38P. Guess what I had for dinner! 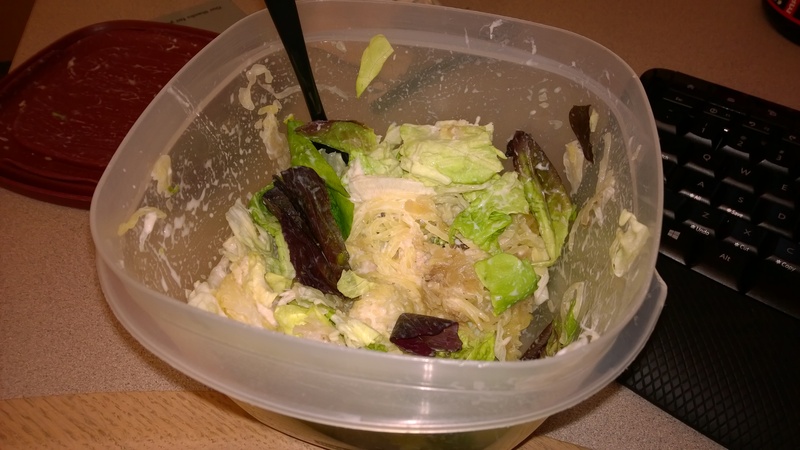 A salad with baby spinach and sauerkraut. On top of that I made an omelet with 2 whole eggs, 4 egg whites, mushrooms and pork tenderloin and added some Waldens Farms. 11C/21F/69P. 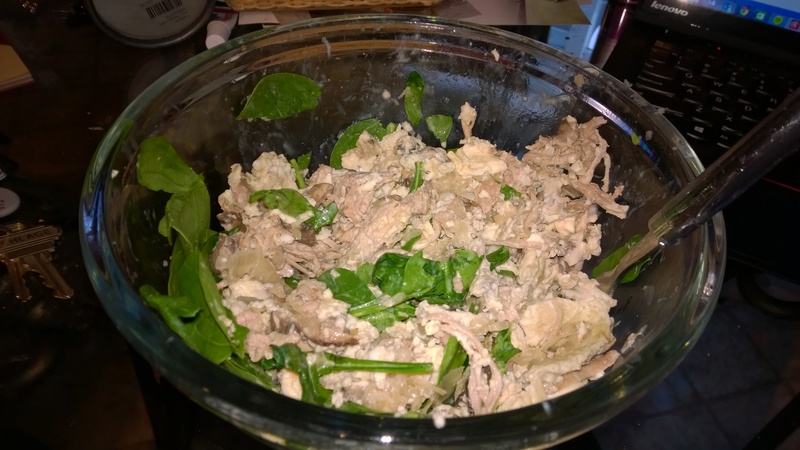 The pork and sauerkraut I made in my slow cooker yesterday and they came out amazing. I’ll post a video of how I make it when I run out. 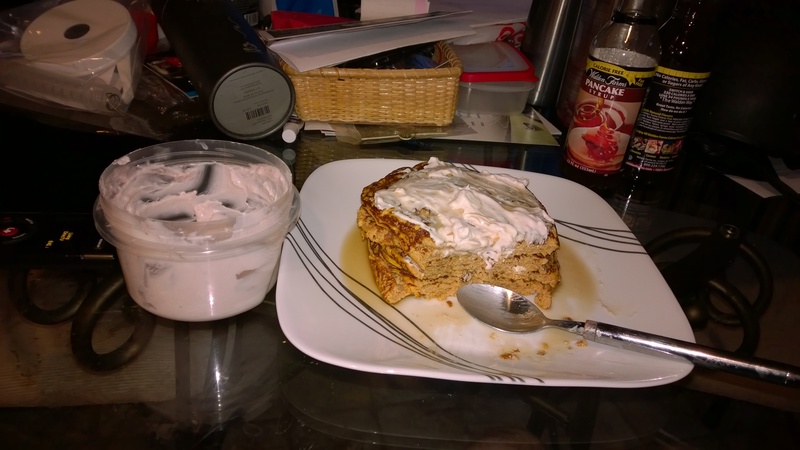 This entry was posted in Day of eating and tagged Cake, Day of eating, IIFYM, Macros, video. Bookmark the permalink.